Pine Stone—Pinus cembra, also known as Swiss pine, belongs to the preshistoric pine family—it is a slow growing tree with rot-resistant wood that can live to a great age of 500-1000 years (and even more than 1000 years in the Swiss Aletschwald). Its nuts are edible, and its aromatic wood is utilized for furniture. Pine is traditionally used in saunas or other natural therapies for its rejuvenating effect on the respiratory and muscular systems, and on the joints. 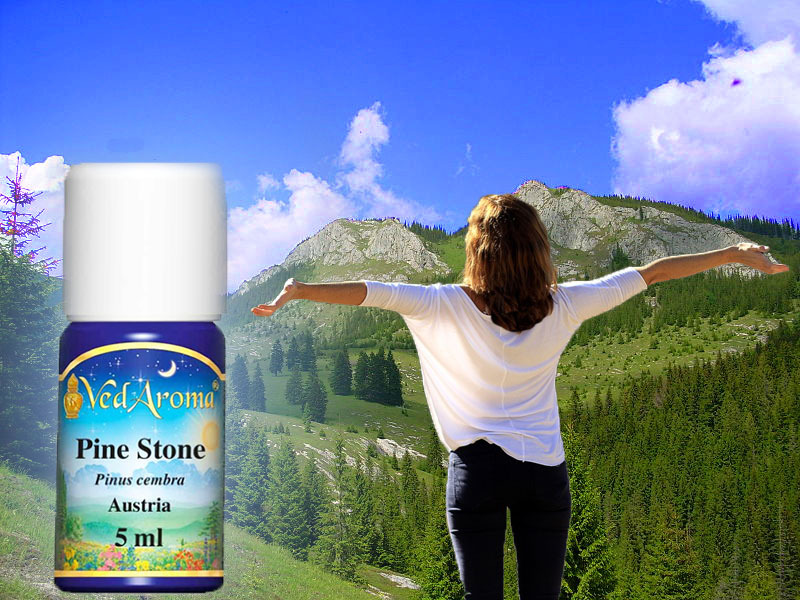 MAHARISHI AROMA THERAPY SERIES #46: Learn in this video about the healing properties and application of Pine Stone Essential Oil. Subscribe to our Newsletters to watch this video series, and indicate in the comments field if you would like to watch the video on Pine Stone or any other Essential Oil. AROMA: Resinous, woody, balsamic, warming.